This isn’t the first time we’ve chatted about how to cut calories by using fresh ingredients at home to make cocktails. As opposed to bottled mixes and heavy simple syrups. 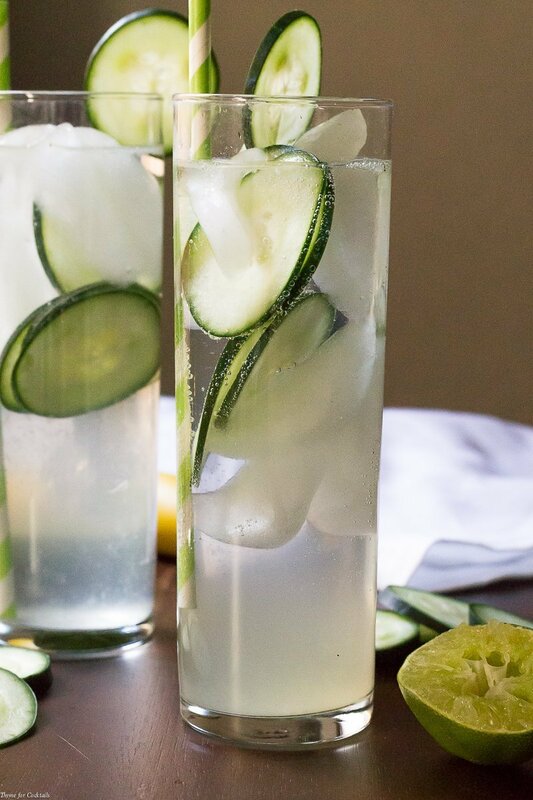 This infused gin cocktail is light and refreshing. The lightened up simple syrup balances beautifully with fresh citrus juices. 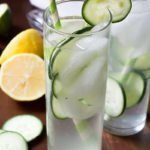 Muddled cucumber slices add additional healthier undertones too! 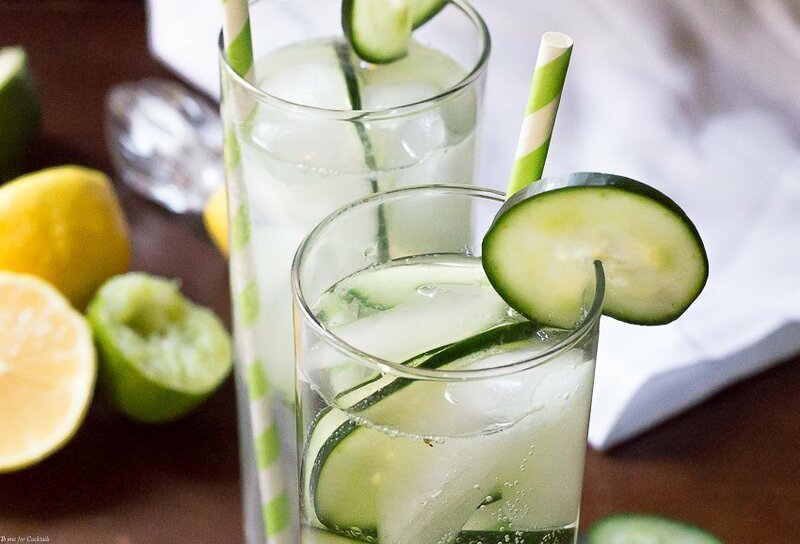 That really opens the door for you to be super creative with additional flavors like in this Infused Cucumber Collins Cocktail recipe. Read up on my infusion tips here then create your own fresh, seasonal blend. After that jump over to the SoFabFood site for the full recipe to make this subtly sweet cocktail! I hope you like this Infused Cucumber Collins Cocktail recipe as much as my crew does. If you love this seasonally inspired drink recipe, you can find more like it by checking out my Cocktail section! For recipe inspiration delivered to your inbox, subscribe to my newsletter, follow my photography journey on Instagram, and for generally inappropriate humor follow like me on Facebook! Place alcohol and cucumber slices in a lidded mason jar. Close and store in refrigerator for 1 week. Shake occasionally. Strain cucumber from gin. Store infused gin closed in the refrigerator until gone. Tip- Test alcohol infusions after 2 days. Continue to steep to reach desired flavors. Full Cucumber Collins Cocktail recipe can be found on the on the SoFabFood site.